Alfred-Arthur Brunel de Neuville (1852 – 1941) was a French painter. 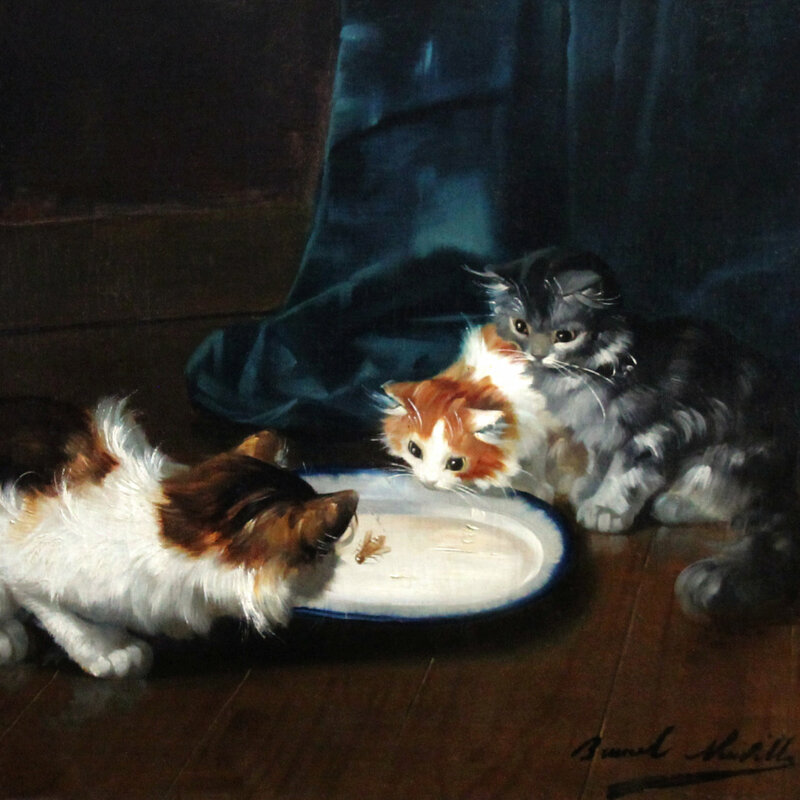 Having received a somewhat basic training from his father, he became famous in his twenties and thirties as a leading animal artist of the Paris school focussing on domestic cats and then later on still life subjects, such as fruit and flowers. 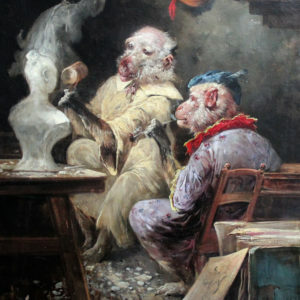 He exhibited work at the Societe des Artistes Francais from 1879 and was elected a member in 1907. 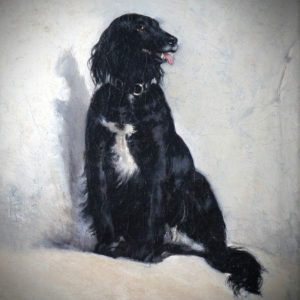 Throughout his life Brunel de Neuville worked hard to improve his skills and later paintings are both more complex and intricate than earlier works. 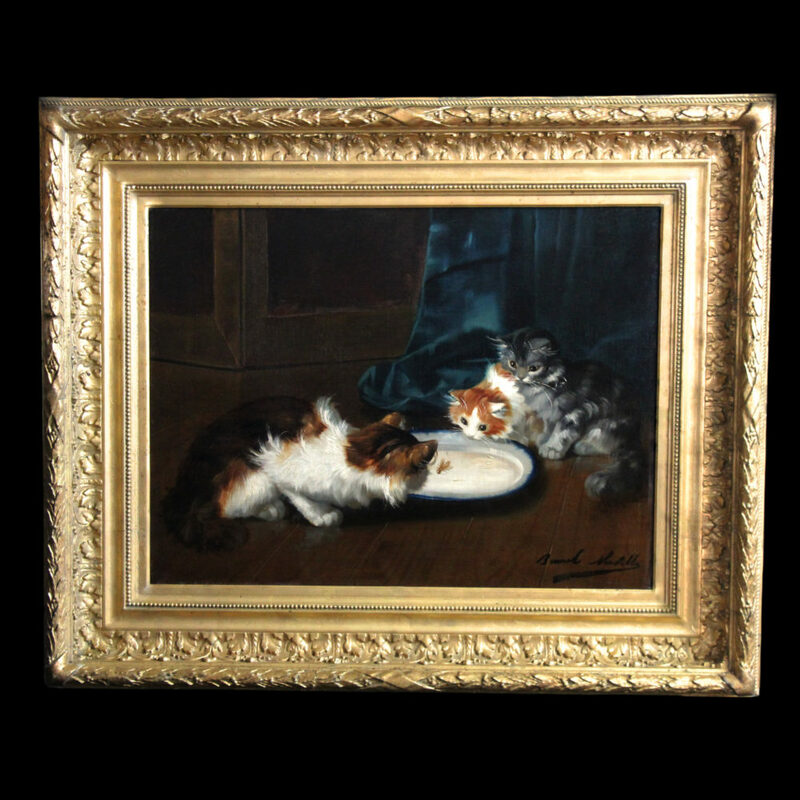 Both dogs and cats became popular as the subjects of a sentimental/realist genre at which de Neuville excelled. 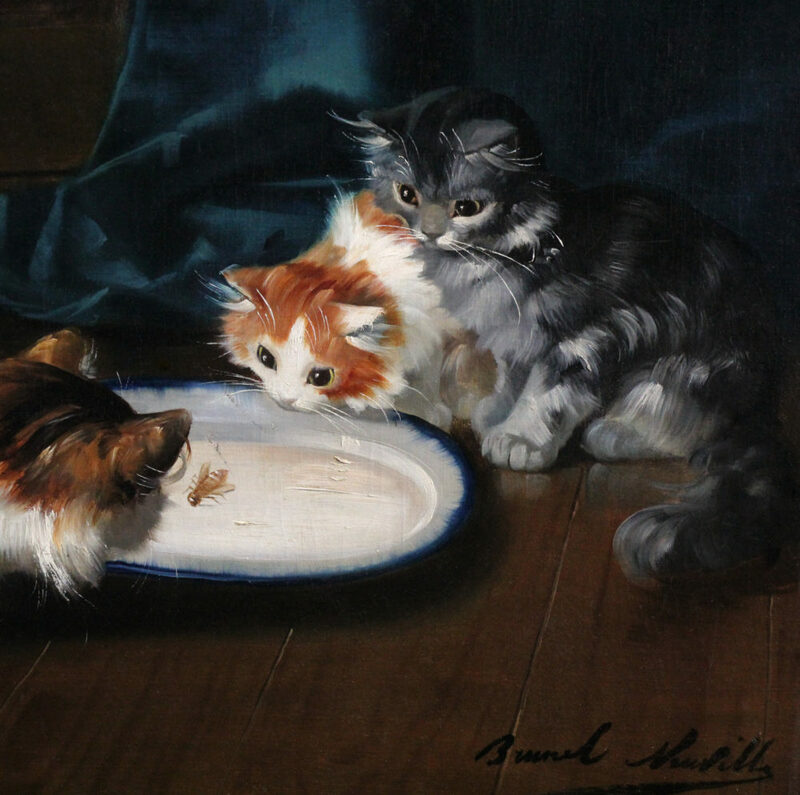 His trademark painting is a group of mischievous kittens playing with a ball of wool or other domestic object. 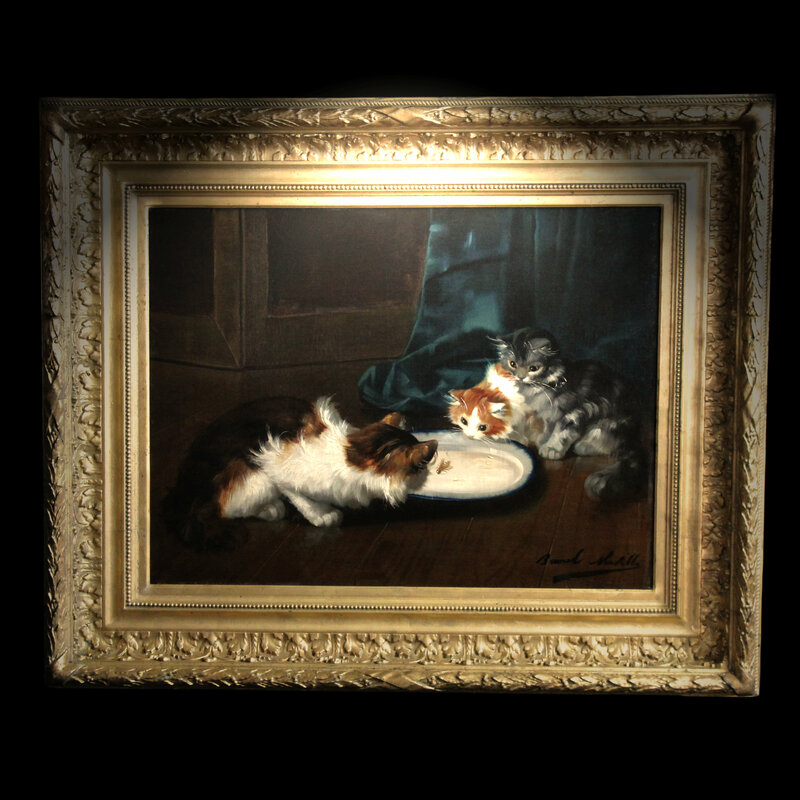 Although the style is broadly realist, some of the cat paintings are just a touch impressionistic in tone. 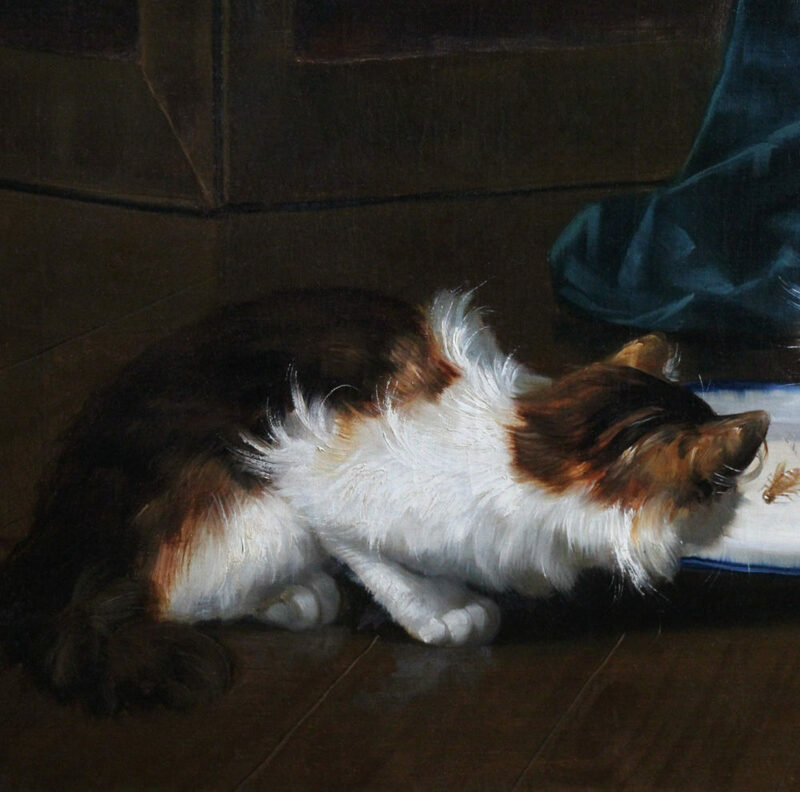 Certainly the cats are not depicted as a natural subject in a strict realist way. 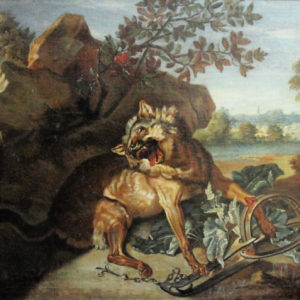 Many of his still lifes have a charming French bucolic feel. 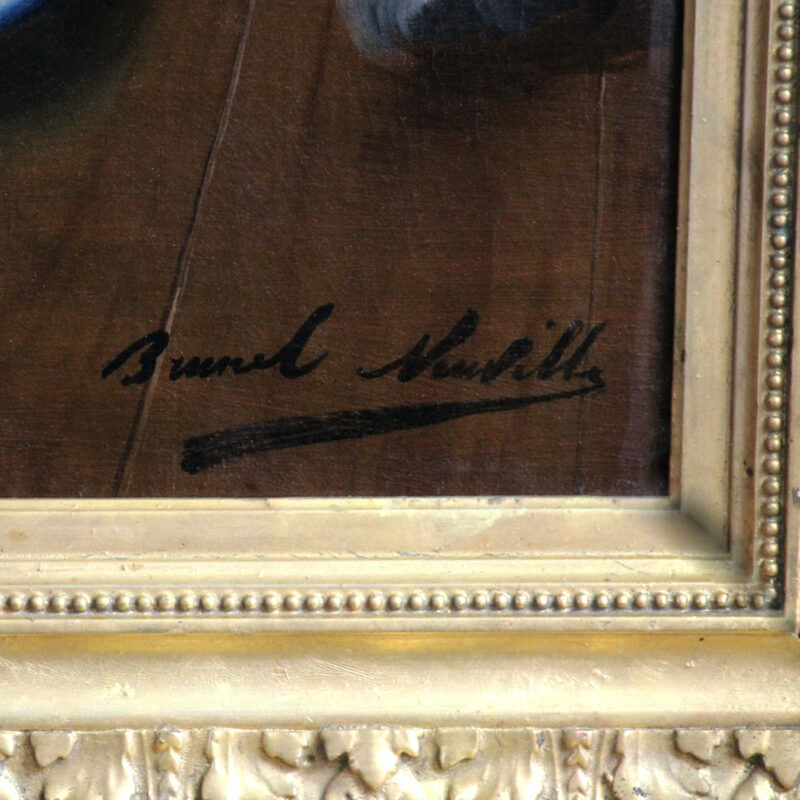 Brunel de Neuville was highly popular during his lifetime, but since his death popularity has waxed and waned. Certainly lovers of modern art will abhor the sentimentality of the genre. In terms of value his work fetches more in North America than in Europe. 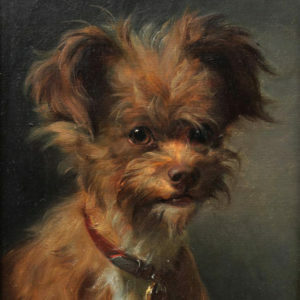 European auction prices are between €2,500 and €5,000, but in the USA prices can go over $10,000. 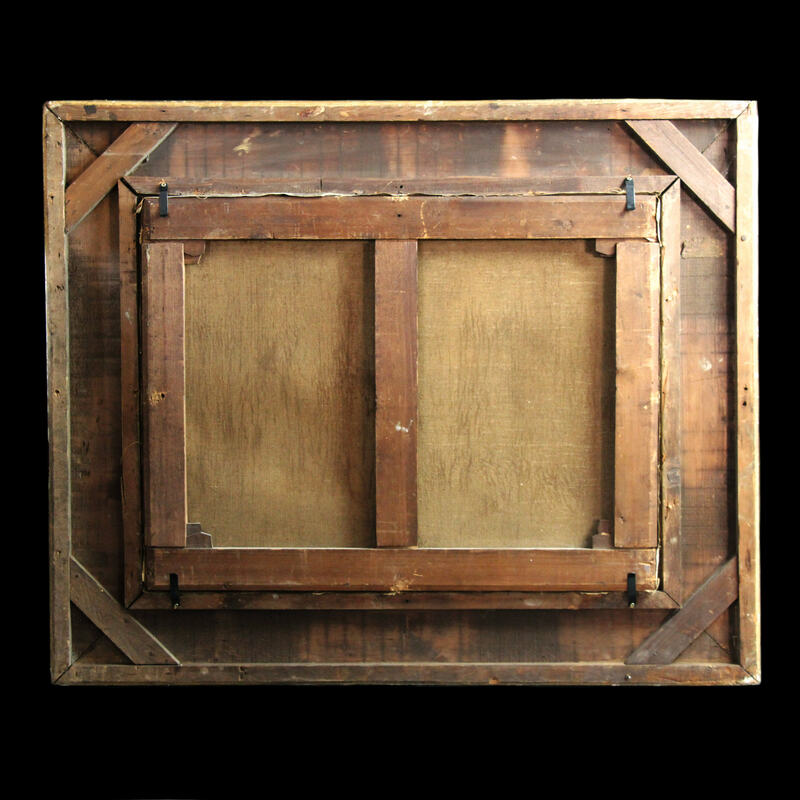 One of his best and largest canvasses is on sale in a gallery Buenos Aires at $20,000.